Police are hunting a thief who jumped on to the back of a moving lorry and stole a large amount of cigarettes from inside. The incident occurred at around 9am on Wednesday as the red lorry was driving through Hamilton, South Lanarkshire, Scotland. 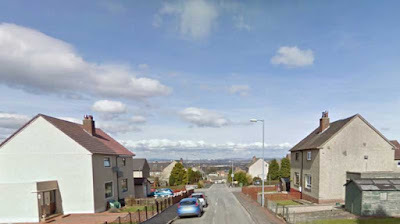 The thief, who was wearing a high-visibility vest, jumped on to the truck as it was driving along Clarkwell Road in the Hillhouse area of the town. Police said he opened the doors and filled bin bags with boxes of cigarettes before hopping off near Peacock Cross. Officers want to hear from anyone in the area who has been offered cigarettes for sale by the man. The man is described as white, around 5ft 9in tall, medium build and with black hair. A force spokesman said: “Police Scotland is seeking the assistance of the public following a theft from a moving vehicle in Hamilton.